In a change of direction the new LightSquared team has dropped its lawsuit against the federal government and reached a separate settlement in its lawsuit against Deere & Company that has wide-ranging implications for the GNSS community. Under the deal LightSquared has agreed to lock in lower power limits and drop its push for GPS receiver standards in exchange for Deere dropping its opposition to LightSquared’s terrestrial broadband network. The settlement, a copy of which was filed yesterday (December 9, 2015) with the Federal Communications Commission (FCC), also would make permanent an earlier offer by LightSquared to forego use of the 10 megahertz of spectrum closest to the GNSS L1/E1/B1 frequency centered at 1575.42 MHz. Although that change had been proposed several years ago, the firm later suggested it might want to use the band running from 1545 to 1555 MHz at a future date. LightSquared had also proposed to the FCC that the federal agency swap the problematic frequencies for other spectrum. Under the settlement, however, the company — now officially named New LightSquared — would dedicate the upper 10 megahertz to satellite-only use without getting additional consideration. "The agreement itself is the framework for how GPS and broadband can compatibly coexist in the neighborhood," said Doug Smith, the firm’s chairman and CEO. Smith took the helm and the company got both new ownership and a freshly minted moniker when it exited bankruptcy on December 4 and was reconstituted as New LightSquared — although generally it is still referred to simply as LightSquared. The new company also took over legal actions initiated by its predecessor and other parties including a lawsuit filed against the federal government by Harbinger, one of the main backers of the original firm. New LightSquared voluntarily dropped that lawsuit on December 9. "The new company is committed to working with regulators to identify and implement solutions that enable this spectrum to be utilized," said LightSquared spokesperson Ashley Durmer. "Yesterday’s filing is another step forward to achieve that goal." "As the new LightSquared moves forward," O’Rielly said," it should be clear that I have no intent to revisit the process circus that encircled the previous version of LightSquared. In particular, I will not be party to any effort to undermine any legitimate protections afforded to the Global Positioning System and its commercial users." Deere does, however, have particular reasons to be pleased. It will get reimbursed for some of its legal expenses, and LightSquared will withdraw its objections to a Deere application for the modification and renewal of its FCC license. Of interest for the wider GNSS community, LightSquared will also withdraw its petition to the FCC to set standards for GPS receivers in general, and it will stop asking the FCC to establish harms claim thresholds as a way to manage interference. For the last several years LightSquared has been pushing for harms claim thresholds, a proposal that would put the onus on users dealing with new interference to prove they are harmed before they can force a change. The current approach is to have new/proposed services demonstrate how they would avoid causing interference to those already in operation and, if necessary, be the ones to make adjustments. Deere, for its part, will not object to the terrestrial network New LightSquared plans to propose to the FCC as long as that network complies with the technical specifications in the settlement. "It looks like they are basically where they were in 2012 on the lower downlink in terms of the power limits," said Tim Farrar, an expert on mobile satellite services with Telecom, Media and Finance Associates, Inc.
Farrar pointed out that New LightSquared has agreed to lower the power level on the handsets below what they were proposing just before filing bankruptcy. "At that point in time, in 2012, they were also suggesting that they would operate at up to 1 W for the handset transmit power," Farrar explained, "and now they’re saying 23 dBm . . . that’s 0.02 watts." Smith said his firm had also solidified limits on out-of-band emissions (OOBE). 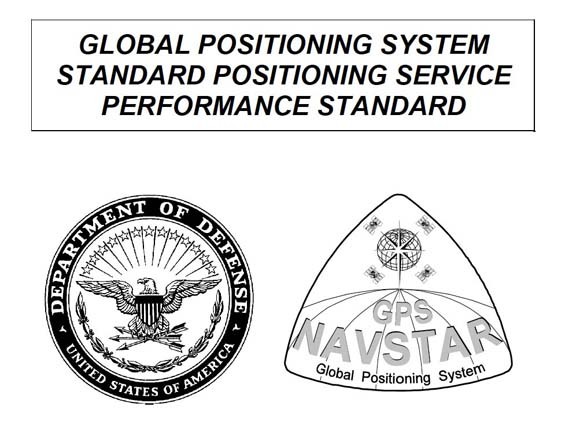 "That again will provide further protection for GNSS services across the band," he told Inside GNSS in an interview. Smith acknowledged that his firm would still have to work out a deal with receiver manufacturers Trimble and Garmin and with federal users and regulators, including, in particular, those who build and buy receivers for aircraft — a large but specialized niche where changes to certified equipment is seldom simple. "We understand that we will still need to work with the aviation community," said Smith, "and the Department of Transportation and the FAA and others to find a similar peaceful coexistence — one that I am positive that we can find." Farrar suggested that the ball would now be in the courts of the departments of transportation and defense, both of which came out strongly against the original LightSquared proposal. One of the issues that could arise, he said, would be whether LightSquared would be willing and able to pay for changes to existing equipment. Smith expressed confidence that it would be possible for the firm to find a way to build and operate a broadband network in their frequency bands without interfering with GPS users. "We do think that with the framework [established by the Deere settlement] the entire GPS community will see that coexistence is possible and is feasible," he said, "and we are committed to working with all the other stakeholders to find the right compromise to balance the needs of GPS and broadband."